BOWL-A-RAMA Wellington is presenting some of the best bowl riders in the world, competing in the finest bowl in New Zealand, on the iconic Wellington harbor. 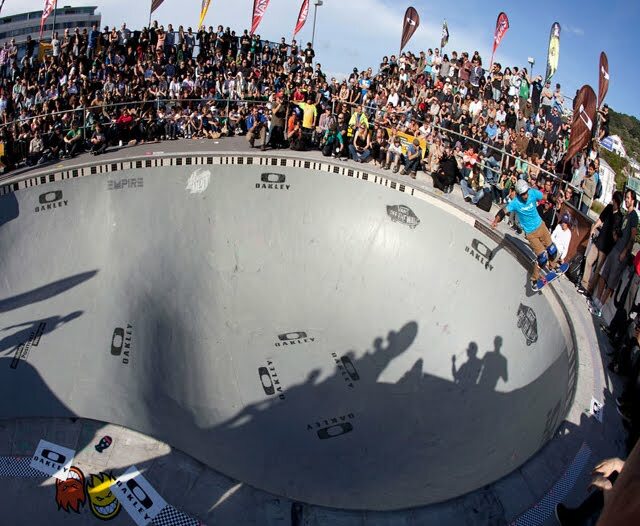 The Wellington Bowl-a-Rama will be taking place February 8th through the 11th, 2012 at the Waitangi Skate Park on Cable Street in Wellington, New Zealand. The competition is for pro and master competitors. Take a look on the left at the official 2011 Bowl-A-Rama video. Last year, after a long day of battle at Wellington’s Waitangi Park, Pedro Barros and Pat Ngoho finished as the big winners of OAKLEY BOWL-A-RAMA™. The crowds of over 6000 on Saturday 12th of February witnessed Pat walk away with the Masters 1st place prize of A$20,00 and youngster Pedro Barros with the Pros 1st place prize of A$4800, a prize purse which gave each skater a huge incentive to get amongst the competition in this years OAKLEY BOWL-A-RAMA™.